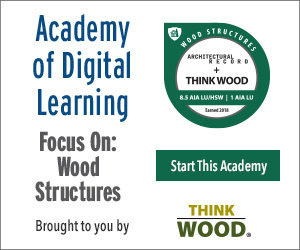 Discuss common issues affecting the acoustic performance of closed rooms. 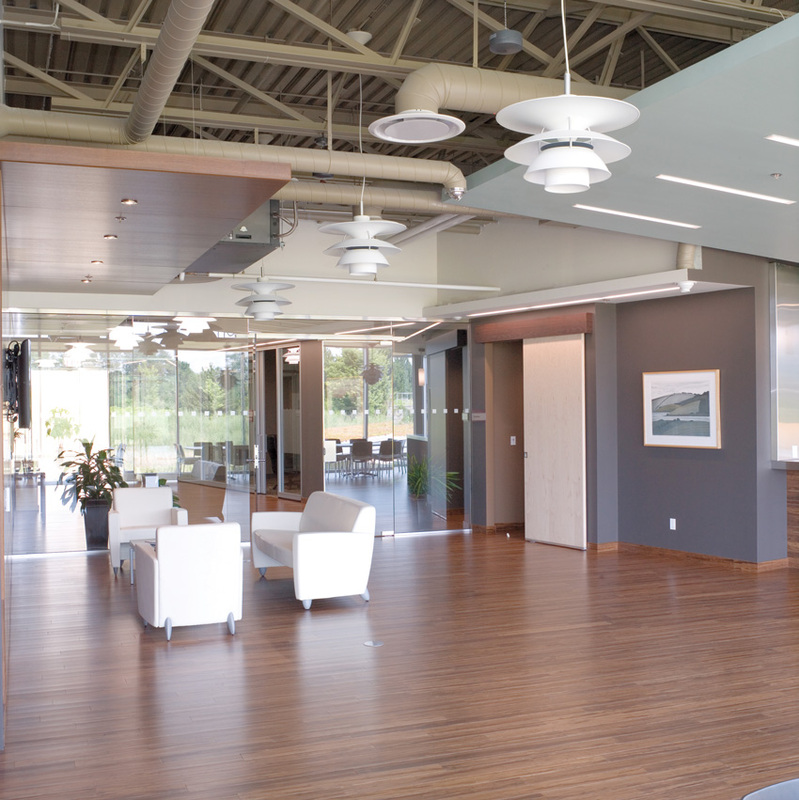 Describe the impact of background sound levels on occupant comfort and productivity within both open and closed spaces. Explain sound masking’s role in achieving construction savings and preserving flexibility. Increase speech privacy and reduce noise disruptions in the workplace. The majority of employees spend over half their time on individual focus work and another large percentage on the telephone. Their environment should support these activities, but instead, workplace design trends are steadily eliminating many methods of controlling acoustics. While the proportion of open plan and occupant densities grow, partitions are lowered or omitted, absorptive finishes are forgone in favor of exposed surfaces, and closed rooms are built using demountable walls, reducing room-to-room isolation. Whether such decisions are made for the sake of aesthetics, sustainability, or short-term budget goals, they all reduce acoustic performance. The situation is compounded by improvements in construction materials, mechanical, and office equipment, which have lowered the ambient—or background—sound level. The resulting ‘pin-drop’ environment allows conversations and noise to easily be heard and understood, even from a distance. What ambient sound remains does not exhibit the correct mix of frequencies needed for speech privacy, noise control, and comfort. Sound-masking technology is used to distribute an engineered sound throughout a facility, raising its ambient level in a controlled fashion. While adding more sound to a space might seem to contradict the goal of achieving effective acoustics, the premise behind this solution is simple: it covers up noises that are lower in volume and reduces the disruptive impact of those that are higher by decreasing the magnitude of change between the baseline and any peaks in the space. Conversations are also either entirely covered or their intelligibility is reduced. Hence, occupants perceive treated spaces as quieter and more private. Most people have experienced this type of effect—for example, when washing dishes at the kitchen sink while trying to talk to someone in the next room. The listener can tell the other person is speaking, but it is difficult to understand exactly what is being said because the running water has raised the ambient level in their area. In fact, everyday examples are virtually endless: the drone of an airplane engine, the murmur of a crowd in a busy restaurant, or even the rustling of leaves in the wind. They all have the potential to mask sounds the listener would otherwise hear. Sound-masking technology consists of a series of loudspeakers, which are usually installed in a grid-like pattern within the ceiling space, as well as a method of controlling their zoning and output. Of course, when introducing a sound to a workplace, it is vital to ensure that it is as comfortable and unobtrusive as possible. Though most compare the sound of a well-designed and professionally tuned masking system to that of softly blowing air, it actually follows a nonlinear spectrum or ‘curve,’ which is defined in third-octave bands and typically ranges from 100 to 5,000 hertz (Hz), or as high as 10,000 Hz. Unlike ‘white noise’ or ‘pink noise’—terms often, but incorrectly, used in this context—this curve is specifically designed to balance acoustic control and occupant comfort. A successful implementation involves achieving both goals, in equal measure. 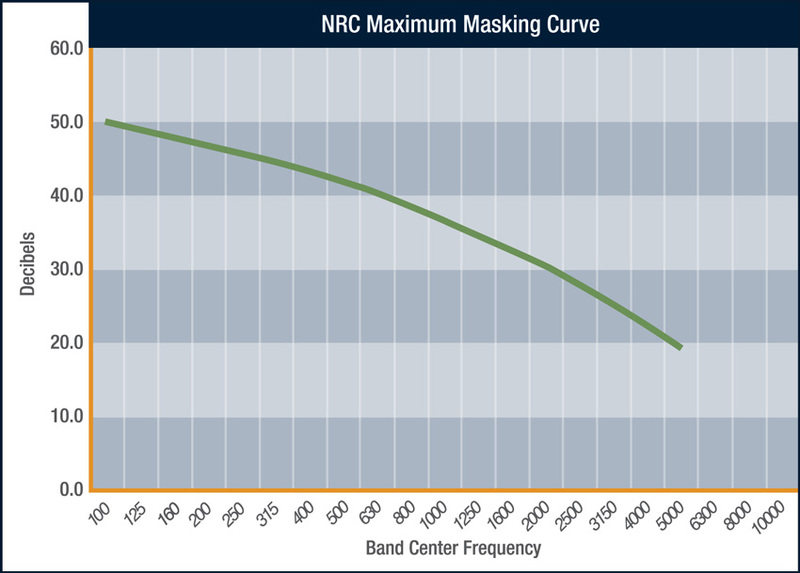 A sound-masking spectrum or ‘curve,’ such as the one preferred by the National Research Council (as shown), is defined in one-third octave bands and typically ranges from 100 to 5,000 hertz (Hz), or as high as 10,000 Hz. Over the past decade, there have been tremendous advancements in sound-masking technology, increasing performance, expanding functionality, and opening the door to new applications. Yet, certain outdated design practices persist, often to the detriment of speech privacy, noise control, and overall acoustic comfort. One such custom is the exclusion of sound masking from closed rooms, such as private offices, meeting, and audio/video conferencing rooms. Several reasons are used to justify this type of design. The first is an historical remnant from the days when sound masking was first adopted to help with the obvious acoustic challenges encountered in an ever-growing number of open plans. This initial application led some to conclude that masking was only intended for these areas. However, this opinion was also reinforced by a significant technical impediment. Early sound-masking systems exclusively used a centralized architecture, which is very limited in terms of its ability to offer local control over the masking sound. Large zones spanned numerous private offices and other closed rooms, with little opportunity to adjust the volume within each space (i.e., only via transformer taps located on the loudspeakers) and no control over frequency. The resulting inconsistencies in volume and spectrum impacted masking performance and occupant comfort, leading both vendors and dissatisfied customers to conclude that the technology simply could not be applied in closed spaces. Despite the fact that modern networked sound-masking architectures address these deficiencies by providing fine control over both volume and frequency within small zones (i.e., of one to three loudspeakers), some still argue that masking is best left to open plans. Beyond its historical foundations, there are a few other reasons consistently cited for excluding closed rooms from sound-masking designs. One objection is the idea that these spaces do not require masking because they are afforded sufficient speech privacy and noise control via physical isolation. Another is the concern that sound masking will interfere with communication, either within the room itself or over audio/video conferencing equipment. In fact, if handled properly, there are numerous advantages to including sound-masking coverage for closed rooms: greater consistency of acoustical characteristics across the facility, higher occupant satisfaction, increased speech privacy and protection from noise disruptions, construction savings, and the preservation of flexibility for future renovations.